My family spent three days last week in Disneyland. There is more to Disneyland than just rides and princesses. There is a "magic" there. I love learning and creating and doing. Walter Elias Disney is such an inspiration. He came from practically nothing and made something of himself. 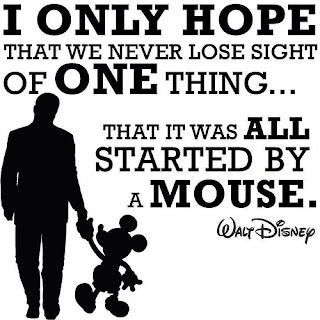 Walt had a passion and never gave up. He believed in something and accomplished it. I have loved the site Relative Finder and have enjoyed learning more and more about my ancestors. Several months ago I discovered that I am related to Walter Elias Disney. He is my 11th Cousin 3 times removed on my Mother's Maternal side of the family. It makes me proud to know that a part of him is in my genes and I hope that I can learn from his successes. We all need a little magic in our lives and I know that when I am doing the things I love it feels magical. I will never be a "Walt Disney", but I can be happy.